Light into Europe Charity is a British-Romanian charity that has been changing lives in Romania for over 20 years. Since early 1990, our pioneering work provided essential services across the country from the re-opening and development of the Romanian Air-Ambulance service to the first support services for children and young people with sight or hearing disabilities in 2003. 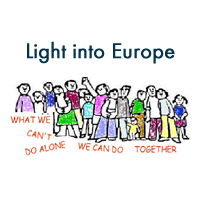 Light into Europe is a non-profit organization with a mission to impact the lives of the sight and hearing disadvantaged children and young people of Romania, through educational support, equipment, information and life skills to achieve their true potential. • Our emphasis is on respecting and promoting fundamental human rights by focusing on our beneficiaries’ abilities, not disabilities. helping our beneficiaries to overcome the social and economic barriers and lead independent lives. As we recognize the need to increase the quality of life of our beneficiaries, we constantly focus our efforts towards increasing their level of independence, providing them with opportunities to get involved in the social life and professional life and create a better understanding of the social potential of the Romanian people with disabilities. The Accesible education programme is based on the fact that Blind and partially sighted children and young people in Romania are losing out on their education because they can’t always get the adapted textbooks and the equipment they need. Education is a fundamental right and the current system of providing accessible textbooks and equipment is simply non-existent. Light into Europe is the sole provider of individual vision evaluation and adapted textbook materials in order to end the present educational deficit. Each child is different, each has their own needs in terms of using different print sizes, Braille or magnifiers. One size does not fit all. 6 team junior members with sight or hearing impairments.